Grease Interceptors can be out of sight and out of mind – or they can be located in the middle of your drive-through, loading dock, or sidewalk entrance. That is why our service technicians are available for 24/7 emergency response or scheduled cleaning appointments. Scheduled services can be set up for any day and any time of day, whether you have an after-hours requirement or have a time of day which is least busy. We encourage all of our customers to have a manager on-duty in case an issue needs to be brought to your attention, but our services can be rendered in their absence, if requested. Grease Traps tend to be located in busy areas where your staff works – making a noxious odor or noise that can be harmful for your day-to-day operations. Our service technicians are available for 24/7 scheduled cleaning appointments. Scheduled services can be set up for any day and time, whether you have an after-hours requirement or have a time of day which is least busy. We encourage all of our customers to have a manager on-duty in case an issue needs to be brought to your attention, but our services can be rendered in their absence, if requested. 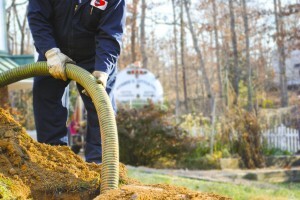 Pump Truck technician uses 3″-4″ hose to clean out septic systems, grease traps, and holding tanks. Many localities require businesses with grease traps or interceptors to maintain a service and maintenance log which can be reviewed upon inspection. We offer a grease trap inspection reporting service to assist in monitoring and documentation. Depending on service frequency and need, we can measure FOG presence with TDS, pH, and particulate testing. Reports are issued to back up any historical trend if questioned by the municipality. Contact our office at 804.232.6774 to inquire about service and pricing for our Inspection Reporting Service. Also known as grease interceptors, grease recovery devices and grease converters, grease traps collect liquid waste and prevent sediments, fats, oils, and grease from getting into main sewer lines and causing blockages and backups. How does Stamie Lyttle clean and maintain a grease trap? It is important when you have your grease trap cleaned to make sure that it is thoroughly cleaned, and not just emptied. When we clean a grease trap we also power wash the walls, Inlet-T’s and Outlet-T’s. This helps prevent grease from getting in the sewer system (reducing surcharges) and makes sure you don’t have a backup. We only leave about 3 inches of water in the tank; and we don’t backfill your tank with “processed” water. If the tank walls are not properly cleaned, when hot water enters the tank, it will dissolve some of the grease and send it into the sewer system, wasting the money you spent on grease trap cleaning services. How often do I need to pump my restaurant’s grease trap? Restaurant grease removal frequency depends on how much grease and waste your kitchen produces. Frequency can vary from once a week to once a year. 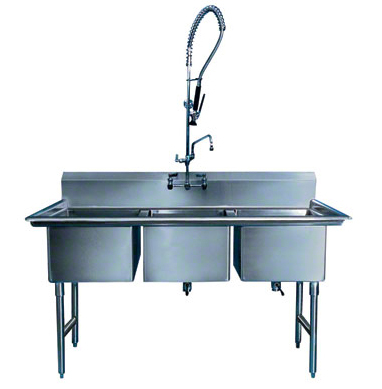 The main determinants of cleaning frequency are the constitution and volume of liquid food waste and the size of the grease trap or interceptor. A small “mom and pop” restaurant will require far less grease trap pumping than a busy fast food chain, if they use a similarly-sized trap. However, if the “mom and pop” restaurant has a 30 gallon grease trap whereas the fast food restaurant has a 1500 gallon grease trap, the smaller location may need to be cleaned as often as, or more often than, the busier location. Why do I need to clean and maintain a grease trap? It is estimated that 50% of all municipal sewer line blockages are caused by grease and kitchen waste. It costs the municipality time and money to clean these blockages and provide continuous service to its citizens. Rather than raise sewer rates across the board, many municipalities send environmental inspectors or plant personnel out to inspect the effluent quality near restaurants, food service, janitorial, and other businesses which are likely to discharge volatile effluent. This is most commonly done at an external grease trap or downstream manhole. I have been getting fines and surcharges from my municipality for high grease readings, what should I do about it? A municipality will charge you extra money for having too much grease in the sewer system. Municipalities will monitor the grease from your restaurant through a “monitoring manhole”, normally located close to your business. They will come and, if the grease levels are too high, charge you extra to deal with disposing of it. If you have high surcharges, you will need to have your grease trap pumped more frequently. At Stamie Lyttle, we work with individual store locations to come up with a schedule that will help reduce and eliminate surcharges. Within the Richmond region, different localities have differing requirements for the maintenance of grease traps and grease interceptors. For specific information, please contact the locality in which you are located. A few resources for Central Virginia localities are below. To speak with a Stamie Lyttle representative regarding your restaurant’s grease removal, please call us at 804.232.6774, Monday-Friday, 8am to 4:30pm or contact us online anytime. 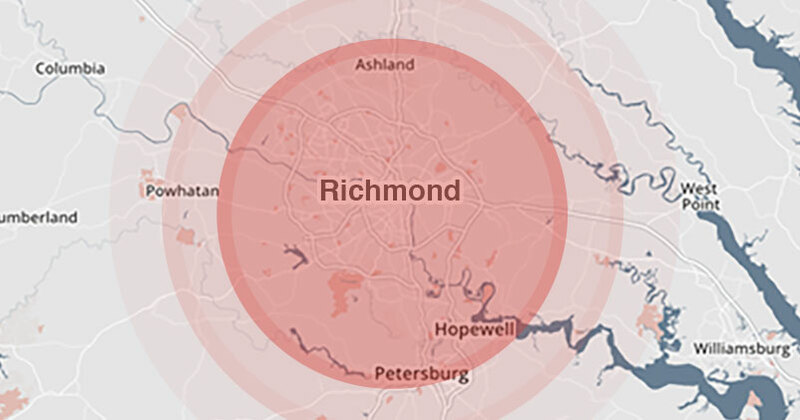 We work with companies all over the Richmond region and can answer your questions about grease trap cleaning.